Upgrading your conference rooms with 21st century technologies just got more affordable. When you buy 2 ViewSonic® CDE7061T ViewBoard® interactive flat panel displays, receive a third ViewBoard and a wall mount for all three displays for FREE! 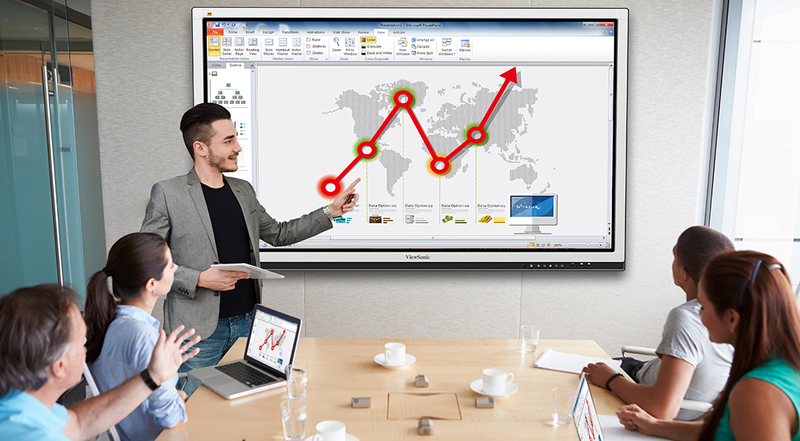 With Full HD resolution, pre-installed vBoardTM annotation software, and an immersive 10-point touch screen, ViewBoard delivers incredible interactive capabilities for enhanced collaboration and streamlined workflow. Take advantage now and receive FREE wall mounts and FREE shipping for even more savings!